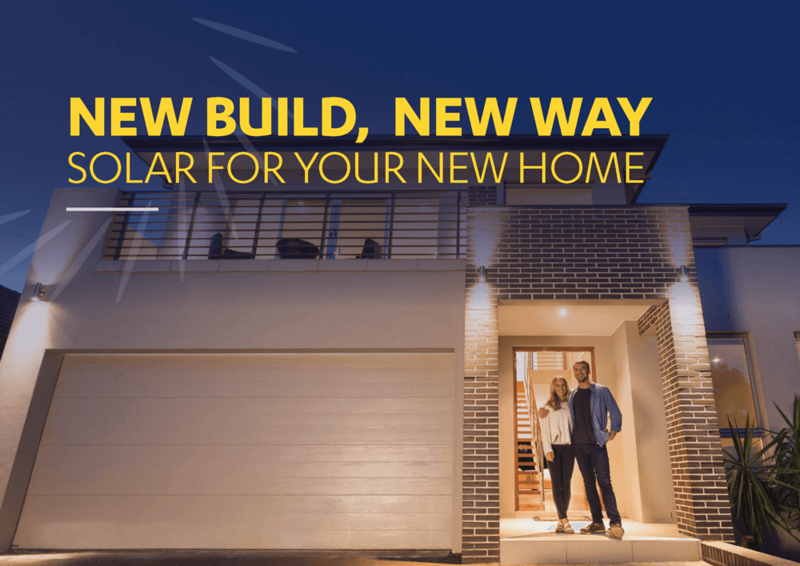 Why solar makes sense for your new build? 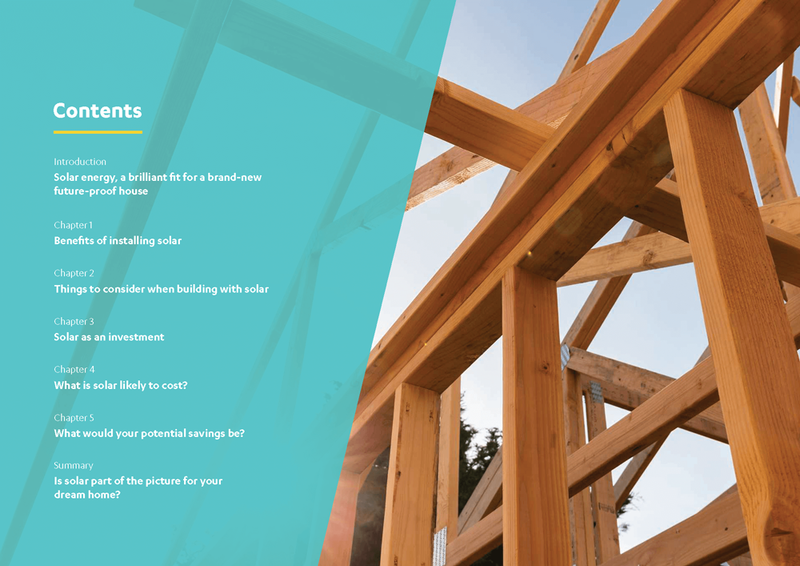 Wondering why solar power makes sense for your new build? Having a sustainable home is positive from all angles. There’s the positive environmental impact, as well as the financial advantages. A sustainable home is often healthier and provides a great return on investment (ROI) through energy savings and capital value gains. 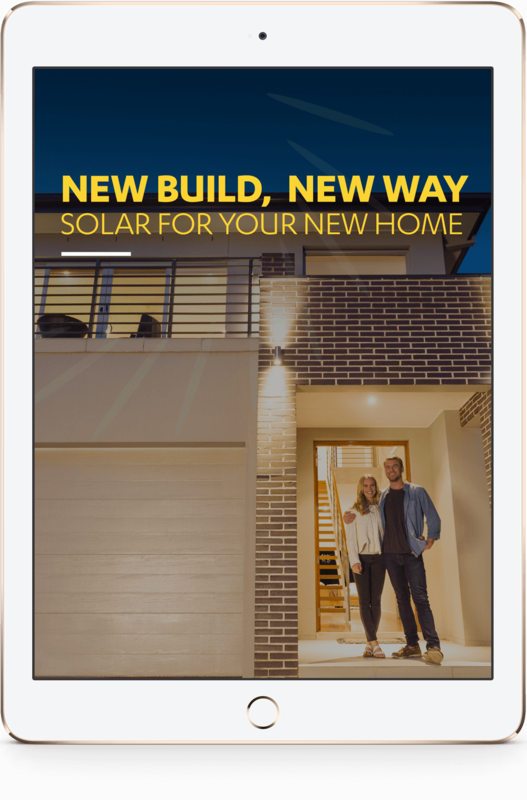 In this eBook we look at why solar energy should be installed in every new future- proofed house, including yours. 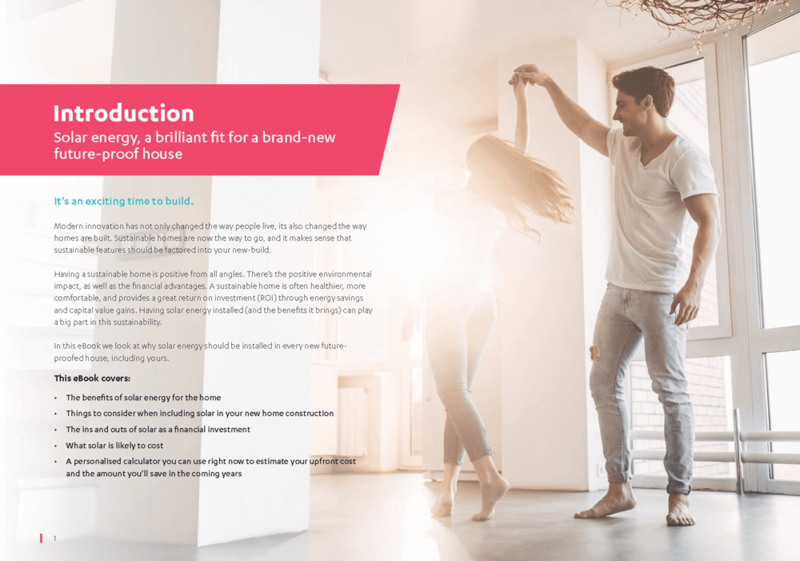 Not building a new home? 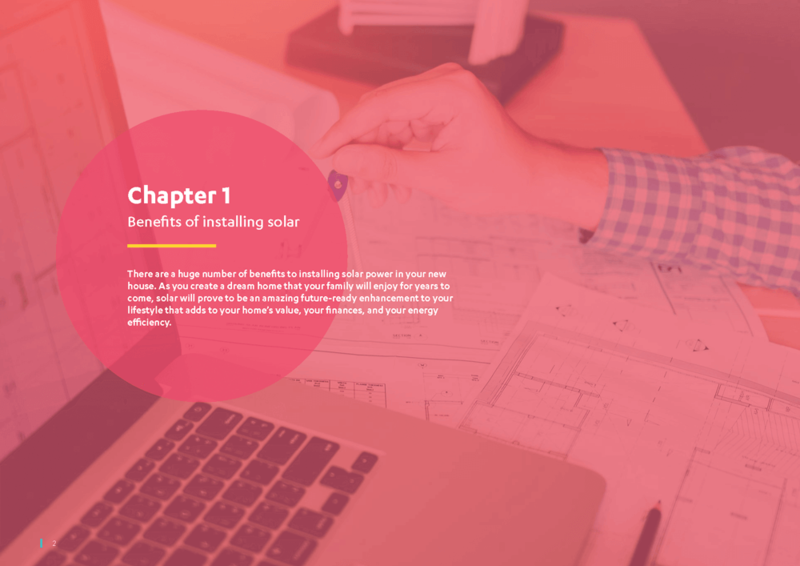 Take a look at our eBook about installing solar to existing homes instead.